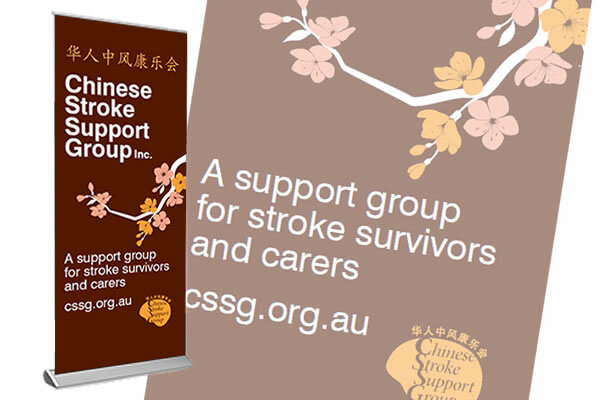 The Chinese Stroke Support Group needed a new popup banner, so we designed this one featuring cherry blossoms and colours to suit their logo. 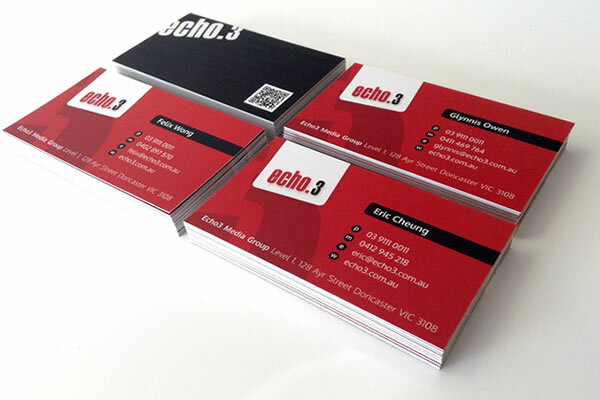 Our new business cards are very striking and feature a spot uv on the back highlighting our web, print and design capabilities. 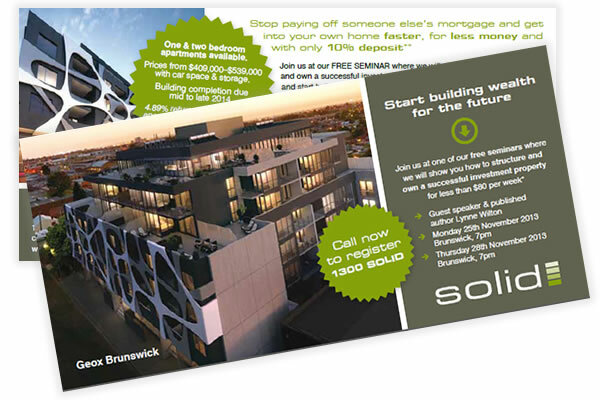 Property flyers and business cards for Ascend Real Estate to complement existing corporate identity and signage. 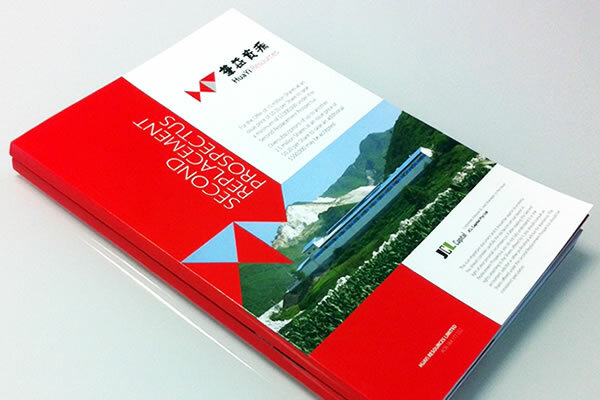 Fresh off the press is the 208 page prospectus for HuaYi Resources. 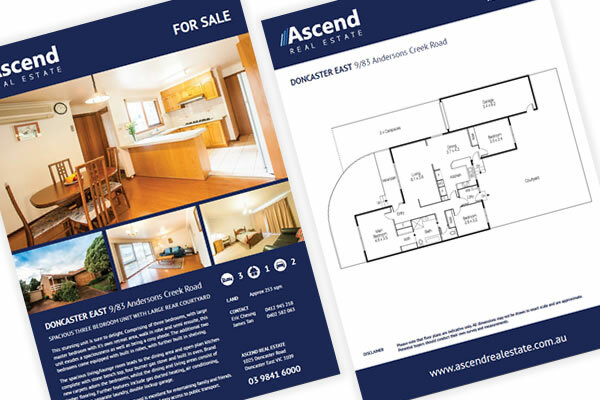 The finished A4 booklet includes a luxurious gloss laminate cover, perforated application form and burst binding. New logo design for iClean Property Services. We have designed a new logo, stationery, 6 page DL flyer, workshop flyer and website for AusAsia Training. 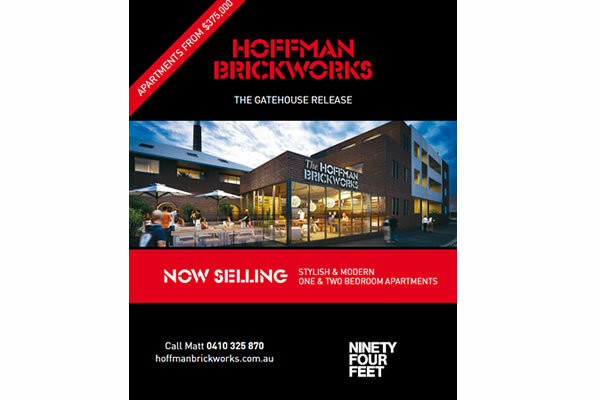 We have designed various hoardings for building developments for Ninety Four Feet. We have created various product logos for Commercial Pools. 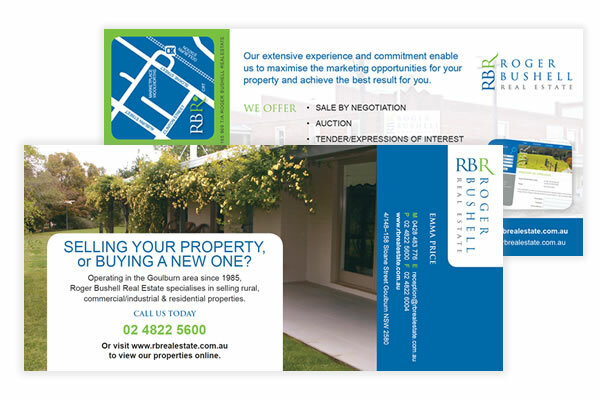 Roger Bushell Real Estate DL postcards with perforation for tear off business card.